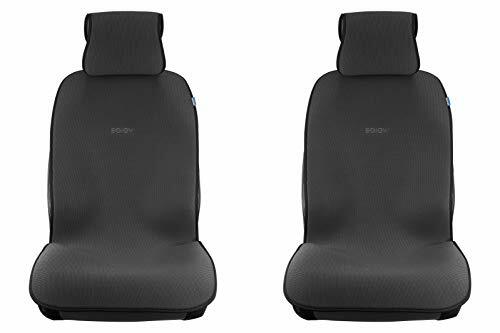 Brand: SOJOY Name: Four Seasons Easy Seat Cushion Set Material: Honeycomb Cloth Usability: Four Seasons Car Seat Cover Models: Fits All Model Car & Truck. Details: Shield your car seat from sweat and dirt Cool your body down after a work out Breathable odor-free gel guaranteed Air dry mesh bag for easy carry-on Bacteria resistant Technology Machine-washable material Easy one-step installation Silicon non-slip design Sojoy Isothermal Honeycomb Car Seat Cover A light, compact, car seat covers that will shield your car seat from dirt and sweat and keep you cooler in the summertime and warmer in the winter months. 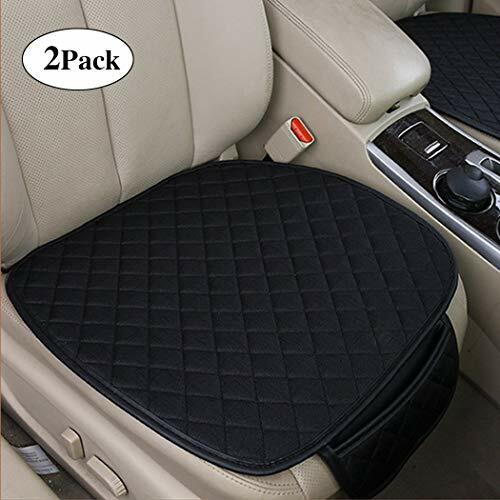 Best Car Protector for Universal Use in Four Seasons Accompanies with YouBreathable Car Seat Cushion protects your car seat from wear and dirt. make your car interior elegant.This car seat cover is a cost-efficient and practical way of getting rid of these problems!Some of the great features of this seat cushion:★Protects you from intense summers and heat★Protects you from cold winters and stimuliSimple Neat Elegant design;Comfortable Healthy MaterialEfficient Rubber Anti-skid Technology Convenient Front Pocket Easy Installation, user friendly;Universal size, guaranteed to fitADD TO CART NOW and you'll be solving this problem with minimum investment! Brand: SoJoy Name: IsoTowel Build Material: Isothermal Cotton & Linen Colors: Black Details: Shield your car seat from sweat and dirt Cool down after a workout Breathable odor-free gel guaranteed Bacteria resistant Technology Machine-washable material Easy one-step installation Silicon non-slip design IsoTowel Sojoy Isothermal Car Seat Cover IsoTowel With Silicone Gel Enforced Looking for light, compact, car seat covers that will shield your car seat from sweat and keep you cool after working out? One that isn't bulky, hot, or sticky and can be installed or put away in seconds? IsoTowel has been designed for your exact needs. Super-absorbent microfiber, form-fitting material, with silicon no-slip technology, adjustable buckle clip and a built-in drying mesh bag IsoTowel is designed for on-the-go, sweat protection for your car seat! 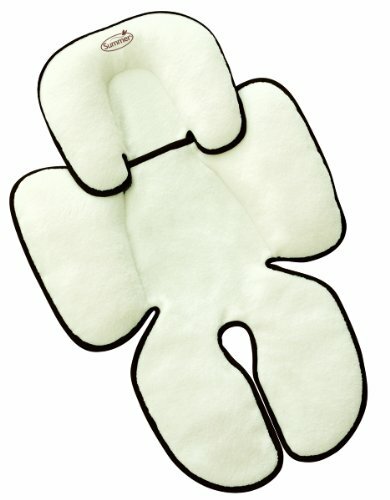 Genuine hand-made 3D-mesh technology allows seat liner to keep baby cool in warm weather in car seat or stroller. Supports baby's head and neck from wobbling dangerously Reduces bacteria Fits small to large strollers and car seats, Light weight one simple piece with great design Slim fit. Keep your baby warm in the winter and cool in the summer with this liner! Cooling, Breathable Technology - Keep your baby cool in the summer and warm in the winter AGIBABY Breathable 3D-mesh technology retains cool air in the summer and warm air in the winter, providing the perfect fabrication for the pad/ liner to cover your baby's stroller and car seat. 3D Mesh is constructed with a series of pillars between the top and bottom layer creating a space inside the material where air can circulate easily, providing a cooling effect in warm weather. 3D Mesh is more breathable and has greater air-flow than bamboo, ramie or air-mesh. The Excel-Life Bead Cool Cover is a stylish way to enhance the comfort of your car or truck seat as well as protect your upholstery. 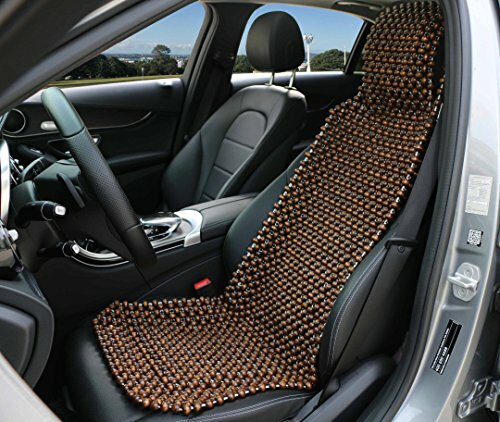 This seat cover looks so simple, but they really have some great benefits. Besides adding style to your vehicle, this rattan seat cover provides you with support and comfort that can truly be relaxing. An added benefit is that your upholstery will not get faded over time from getting in and out of your vehicle. It's especially perfect for classic car motorists. The beads keep a great airflow between your body and the seat, helps to keep you stay cool, away from sweating and being uncomfortable in hot weather. The beads are wonderful to sit on and create a relaxing massage effect as your vehicle is in motion. The Excel-Life Bead Cool Cover was designed with your comfort and well-being in mind. So have a seat! 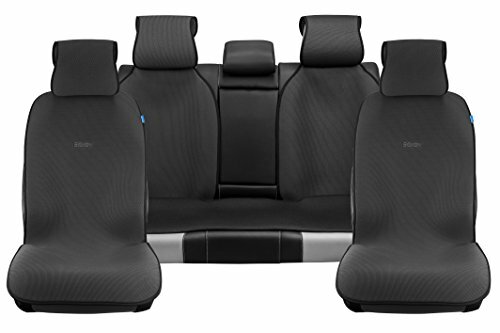 You'll soon be riding off in style and comfort! 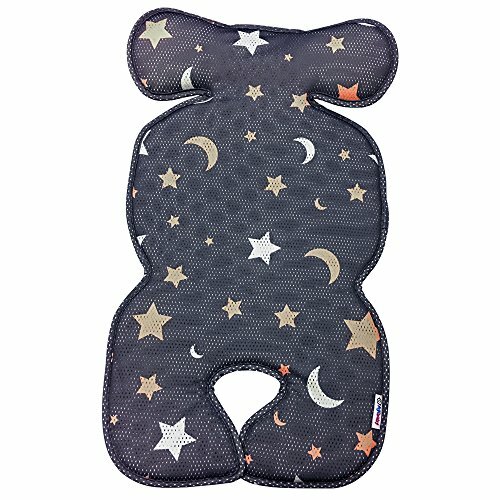 Specification: Size: 20.5*18.90 inches/52cm*48cm Color: Black/Beige/Gray/Coffee Surface material: Breathable Cotton and Linen Inner material: high quality sponge Package Includes: Car Seat Mat * 2 pcs Miranco Car Seat Covers with good air permeability, breathable material and personality design for 2 pockets, it is an excellent choice for your car seat! 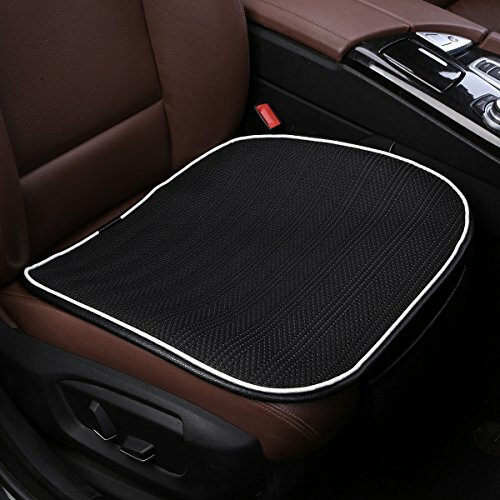 When your child sitting on, this car seat mat with anti-slide design protects him or her from falling off. Also, it is made of PU leather, don¡¯t worry for the stains, so easy to clear! 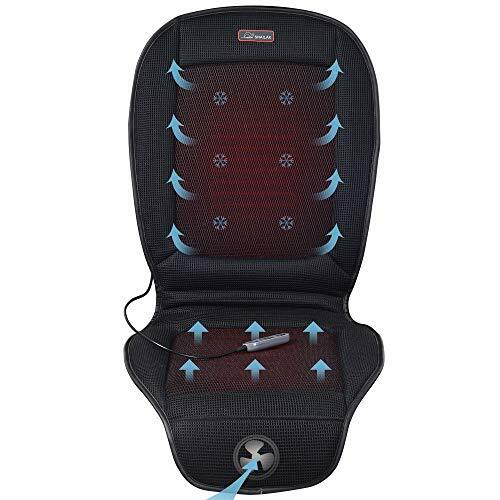 Universal Use in four Seasons, Car seat pad accompanies with you! 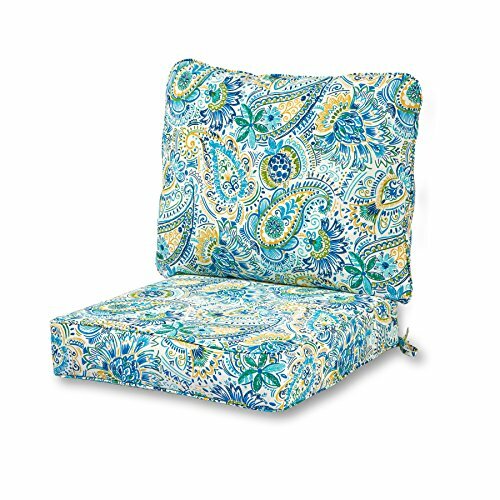 Shopping Results for "Summer Seat Cushion"